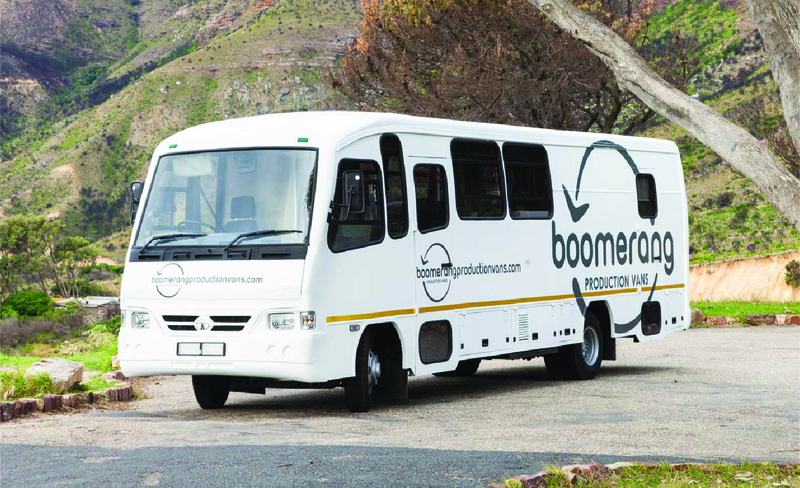 The vision for Boomerang Productions Vans was to create a space where creatives could both work and relax in style. Production vans are designed to meet all that professionals require whilst out on assignment. 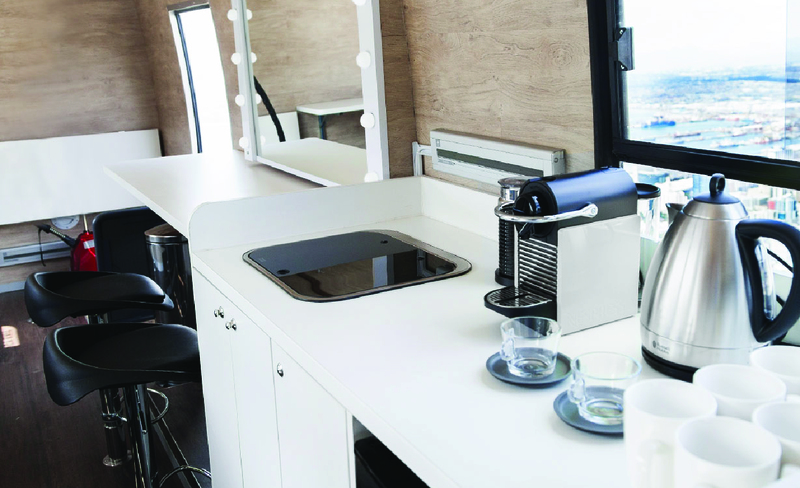 This may be a place to prepare artistes easily, equipment preparation as well as a range of other demanding tasks. With this in mind, it was essential to create a space that was versatile, comfortable and provided a suitable workspace for professionals in the media production and events industries. 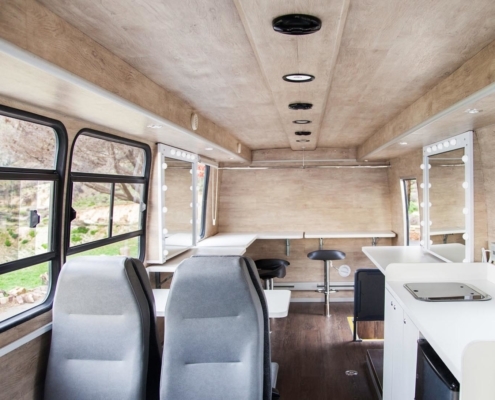 Less time spent worrying about a workspace and more time getting the job done! This will give professionals the peace of mind that each shoot can go smoothly with less focus on operations and more on the creative work at hand. 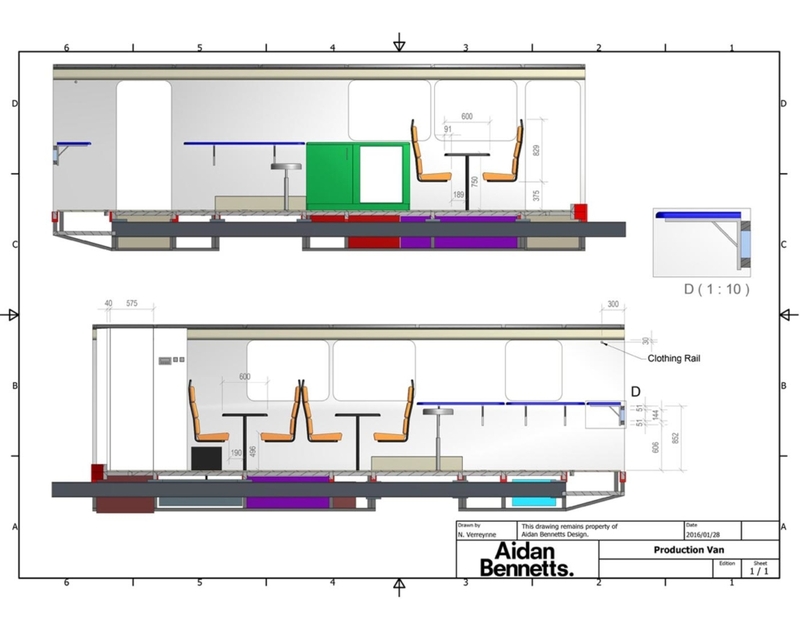 This project had many variables at play; to create a space that was multi-functional, adaptable, stylish and comfortable. 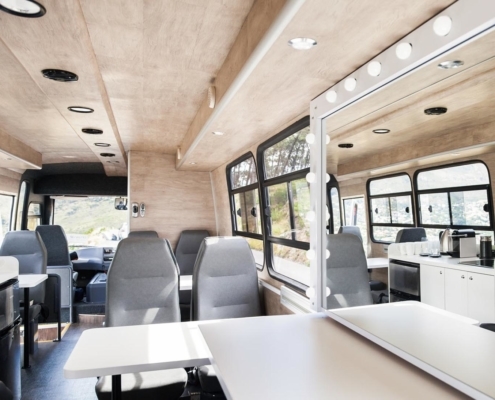 Above all, it set out to eliminate certain work-related issues in order for professionals to worry less about the area that they were going to set up in when on location. 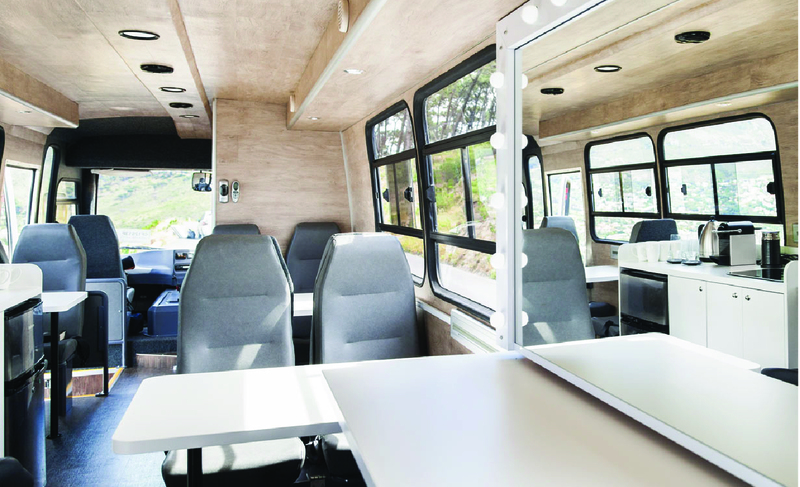 This purpose-built vehicle provides the perfect getaway and prep area for the crew while still being close enough to the action. 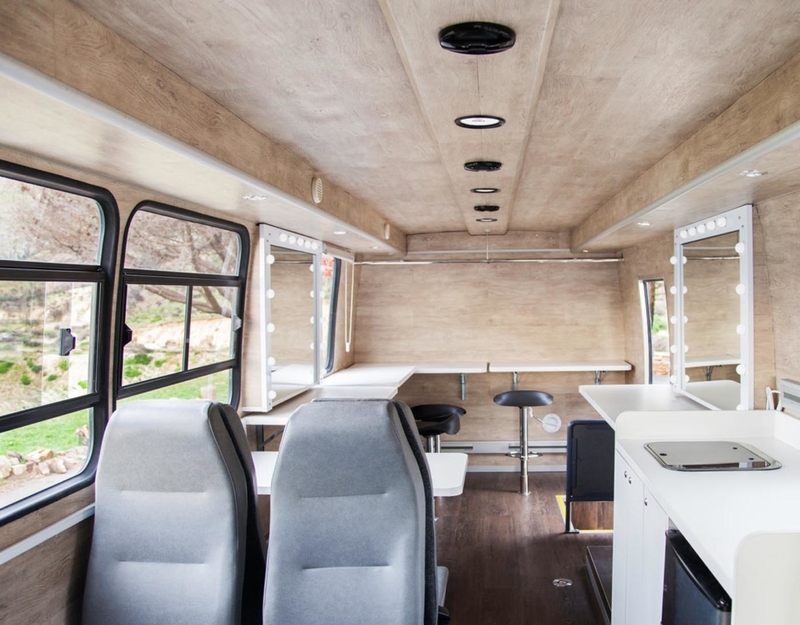 The production van needed to be just like a brick-and-mortar studio, only with all rooms and storage compartments designed into one interior space. 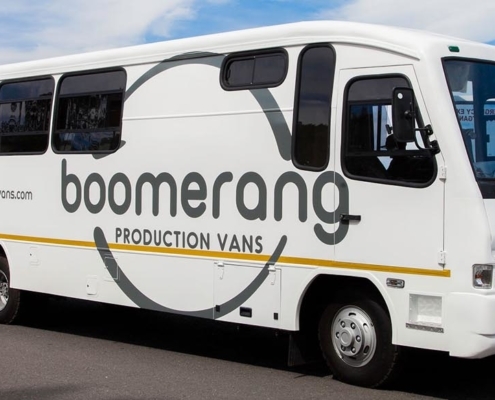 One thing is clear, when you step onto a Boomerang Production Van it allows a crew to work in the ultimate state of comfort. 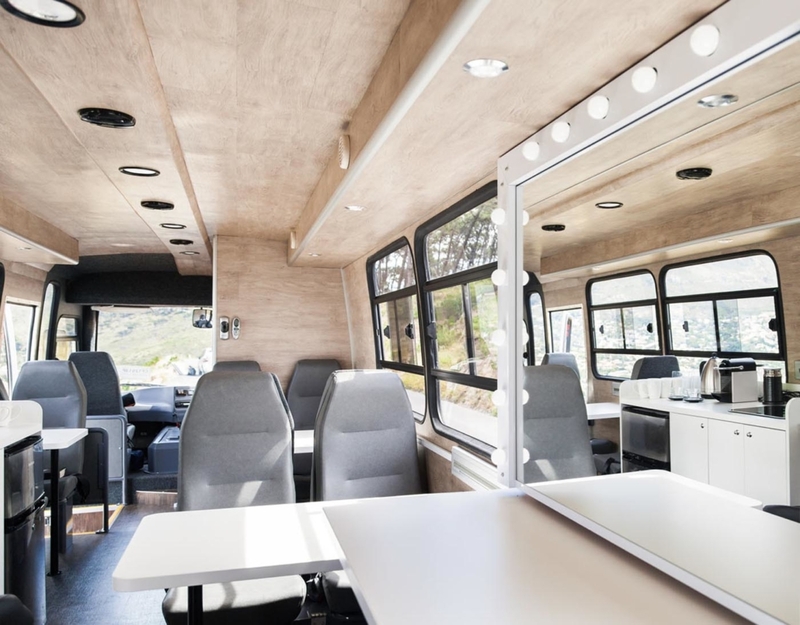 The interior space has a strong focus on adjustable workstations, an excellent use of space and clean, yet luxurious stylish finishes. 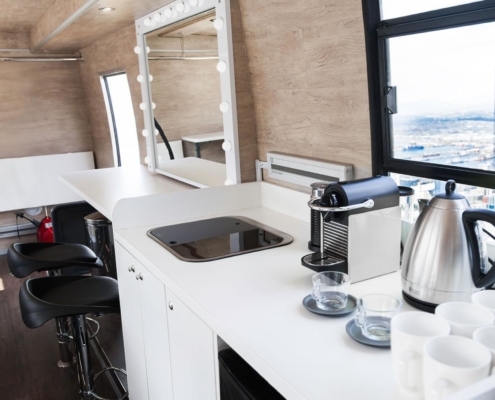 Think of it as your work studio, away from your work studio. 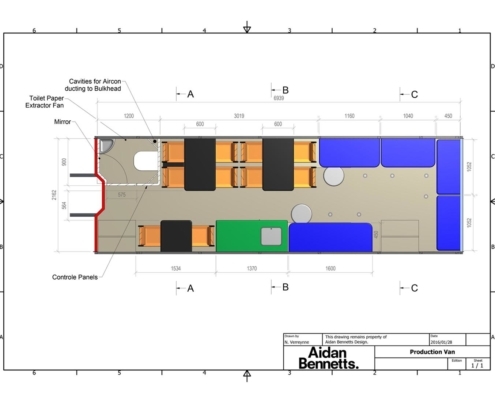 The interior design certainly had international clients in mind who have become used to a certain standard of production equipment and spaces. 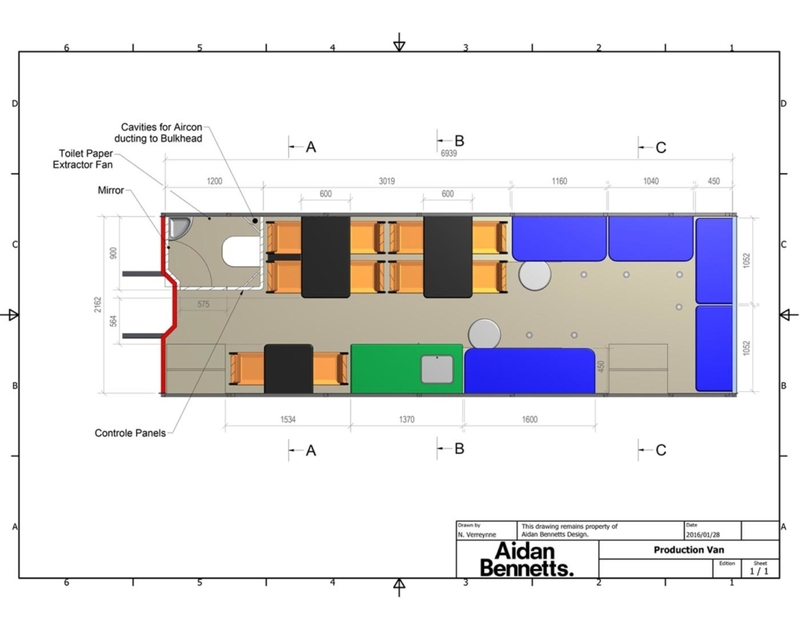 This meant both practical and technical facilities that have proven essential for location shoots and events. No expense is spared and the elegant bathroom even makes use of a macerator toilet pump, which is commonly found on luxury yachts. 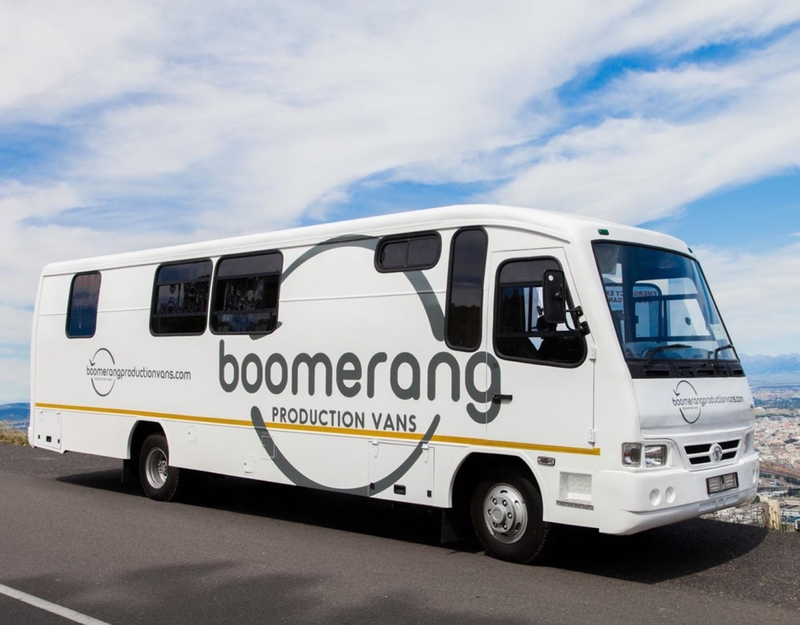 With all these loose strings tied together, the Boomerang Production Van emerges in an elegant package with multifunctional workstations, sleek and attractive finishes and the ultimate use of space and luxury. 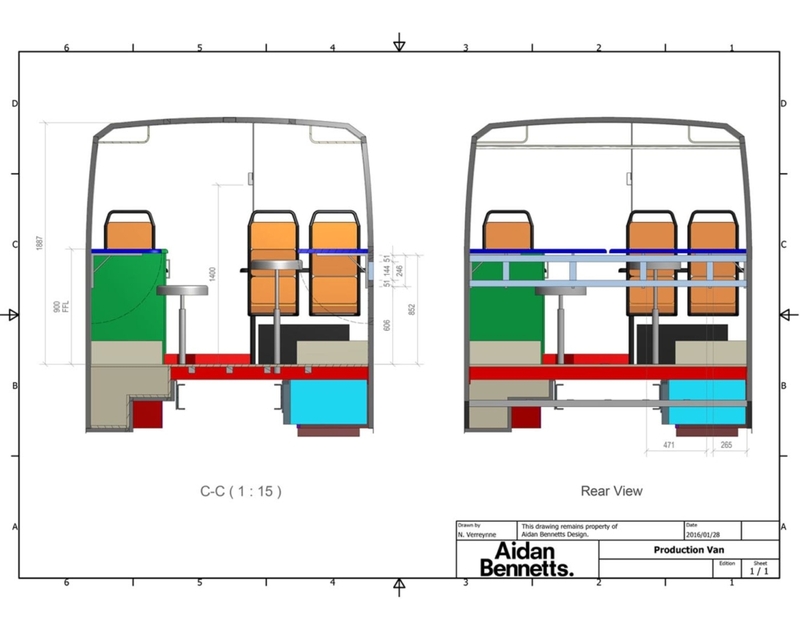 Due to its flexible nature, this production van is designed to suit many different production scenarios. 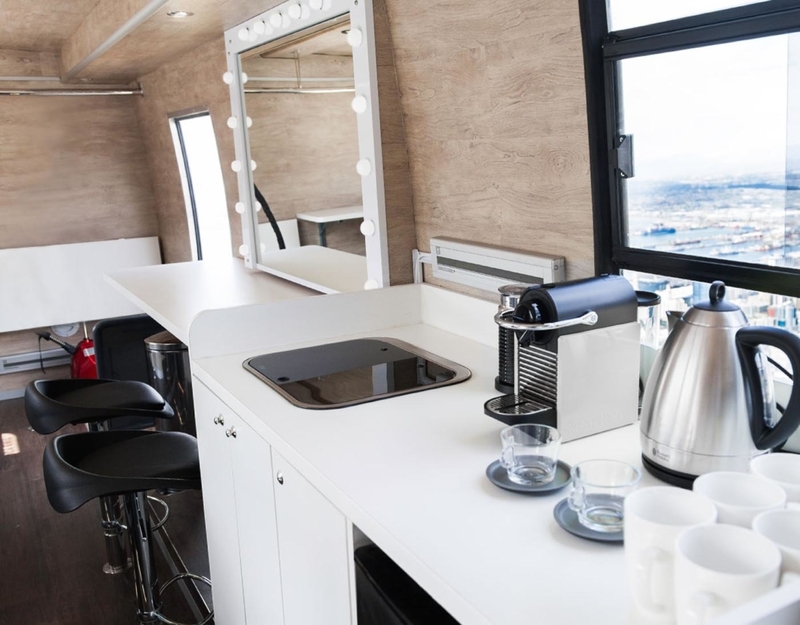 The foldable workstations allow the best use of space to be used as a production office for photo shoots, films or location-based events. There is even a convenient and close-at-hand food prep section that runs both hot and cold water. 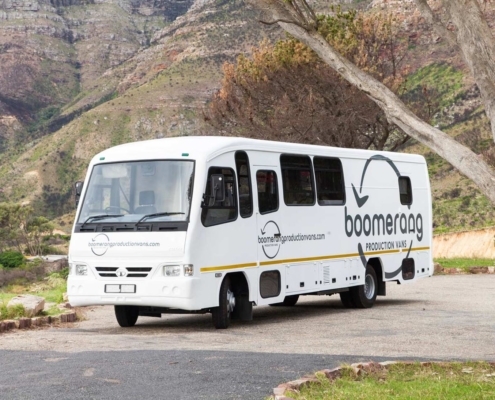 Just arrive at this vehicle and it takes care of the rest. 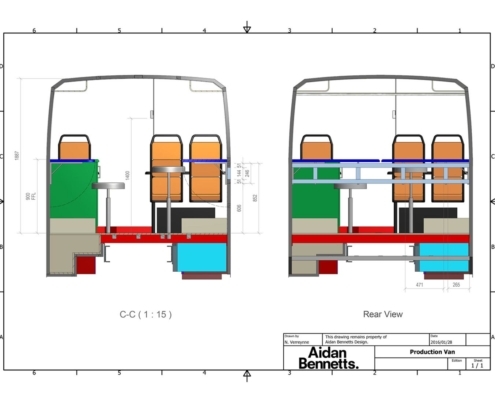 With its many storage compartments and foldable work areas, it was clear that this vehicle aimed to ensure clutter became a thing of the past. 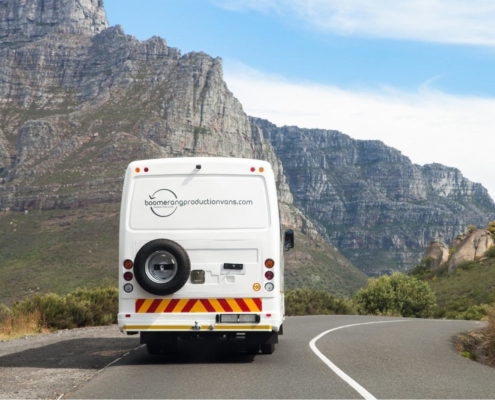 The vehicle has seating for nine people, each seat equipped with SABS-approved seat belts and useful under-seat storage. The Boomerang Production Van certainly makes use of every nook and cranny to ensure your workspace is uncluttered and functional, yet elegant and a space that you can relax in. Leave for a location shoot or event in a Boomerang Production Van and you can expect the perfect workspace that ensures each photo shoot or event goes smoothly and without a hiccup. Whatever the situation, this van has got it.